The “Pilot Light” Burns Bright for Madeleine! Madeleine Arthur (Big Eyes, The Tomorrow People) books a role as a series regular in ABC’s Drama/Thriller pilot “Original Sin” (Untitled Jenna Bans). Written by award nominated screenwriter, producer and co-executive producer Jenna Bans (Grey’s Anatomy and Scandal) and directed by Paul McGuigan, Scottish film director (Lucky Number Slevin and Smash) will direct the pilot. The ABC pilot follows the return of a politician’s son, presumed dead after disappearing over a decade earlier, shocking his tight-knit family. As he is welcomed back into his community, the neighbor jailed for his murder is released and the cop responsible is forced to re-examine what happened so many years ago. Tony-award winning actress Joan Allen will play politician Claire Warren, while Rupert Graves will play her handsome and charismatic husband. Liam James (The Way,Way Back,The Killing and Psych) has landed a key role as Adam Warren, the returned son who was presumed dead. 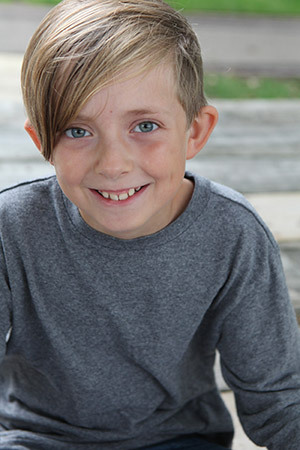 Having been gone for so long, he maintains much of the behavior and mannerisms of an 8-year-old boy. Madeleine Arthur plays the young Willa Warren, who becomes frantic when her little brother Adam goes missing. Zach Gilford (Friday Night Lights) plays Adam’s self-destructive older brother Danny and Andrew McCarthy will play Hank, Claire and Peter’s former neighbor who spent 12 years in prison for Adam’s murder. 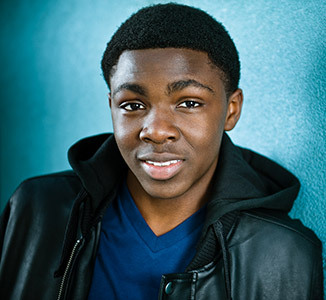 16 year old Davis has always felt invisible, and when he moves to a new school, he doesn’t expect anything to change. But through a series of coincidental circumstances, Cameron Crisp, the most popular girl in school and a dedicated journalist, notices something unusual about Davis—his skin seems to sparkle when he walks in the sun, he doesn’t appear to have a reflection, and he has the coolest haircut anyone has ever seen, which means… Davis must be a VAMPIRE! Cedar Cove focuses on Municipal Court Judge Olivia Lockhart’s professional and personal life and the townsfolk surrounding her. 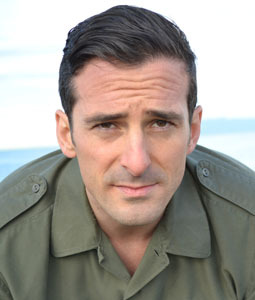 It is the network’s first-ever original, scripted series. 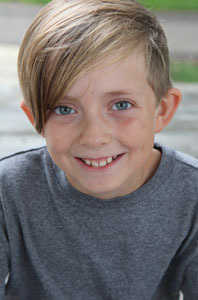 Aiden Longworth has just completed filming a role on “Strange Calls,” NBC/Twentieth Century Fox TV’s paranormal comedy pilot. The single-camera comedy is a remake of the Aussie comedy, “The Strange Calls,” which centers on lead Danny Pudi (Community) playing an eager young cop who fears he’s landed the world’s lamest post when he’s transferred to a sleepy coastal town straight out of Northern Exposure. Those fears are short lived when he realizes the idyllic little town is secretly home to the most bizarre paranormal activity on the planet. And the one thing stranger than his cases is the eccentric local groundskeeper played by Patrick Brammall, who is determined to be his partner. Blake McCormick (Cougar Town) is the writer of the pilot as well as exec producer with “Secrets & Lies’” Aaron Kaplan and Tracey Robertson. Twentieth Century FoxTV, Kapital Entertainment and Hoodlum Entertainment will produce. Set to hit the big screen, they burst on to the music scene with their ­perfectly lacquered hair and songs full of youthful exuberance. Now the rise and rise of Wham!, one of the most successful bands of the 1980s, is to be made into a film. The film will follow the duo’s climb to fame and fortune and will also portray their amicable split in 1986. Inspired by the life experiences of Dr. Kathy Magliato, the show follows a talented female heart transplant surgeon, Alex Panttiere, who balances her work with the complications of her romantic and personal life. Melissa George was cast as the lead and Dave Annable will co-star as her boyfriend. Jill Gordon penned the pilot. “Private Practice” star Amy Brenneman will exec produce with Gordon and Brad Silberling. 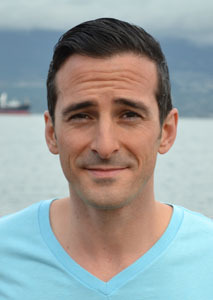 Robbie Duncan McNeill will direct the pilot. Universal Television is the studio. TNT’s drama pilot Breed, a supernatural drama about a string of murders in the Pacific Northwest that are being committed by beings that not quite human. Written by John Scott Shepherd and set to be directed by Scott Winant (True Blood, Fargo), Breed follows the primary antagonist, Detective Cooper Wells played by Justin Chatwin (Shameless) as he follows the trail of murders. Realizing that the serial killer may be some sort of barbaric race of creatures, Wells seeks out the help of a female assassin to hunt the perpetrators down. Nadia Hilker (Spring) and Amber Clayton (St. Vincent) are set as the female leads. Legendary Digital Media and Fullscreen have enlisted two popular YouTubers to revive the classic 1970s children’s TV series, Electra Woman and Dyna Girl. Helbig and Hart will play the superhero duo that originally appeared as part of The Krofft Supershow in 1976. The show will follow the two superheroes as they move from Akron to Los Angeles in hopes of making it big in the crime-fighting world, only to find competition with other vigilantes and infighting among themselves. 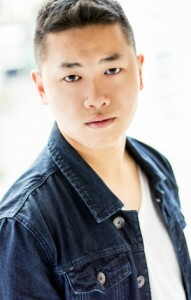 Mike Li books a role on Season 4 of Arrow on The CW, a television series and modern retelling of the DC Comics series Green Arrow. The series Stephen Amell portrays the eponymous, lead character, Oliver Queen, who fights crime as a vigilante. 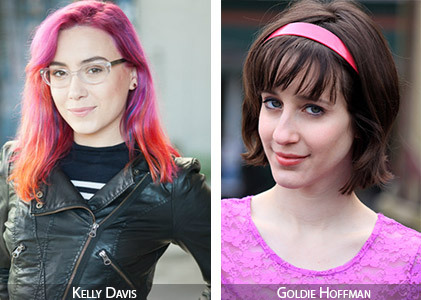 Goldie Hoffman and Kelly Davis book gig as Hannah Hart fans! YouTube sensation Hannah Hart also known as “Harto” is an American internet personality, comedian, author and actress. She is best known for starring in “My Drunk Kitchen”, a weekly series on YouTube in which she cooks something while intoxicated. In addition this, Hart has begun an advice-themed program “Advice from the Hart,” a second channel named Your Harto and is about to kick off a global tour.